Based accurately on the original Palmer Cox illustrations, the Brownie Englishman from R. John Wright is made of the finest all-wool felt and jointed at the neck and shoulders. He has a molded felt character face, hand painted features, a mohair wig, tiny sculptural hands and heavy wire inside his legs to enable him to be self-standing. 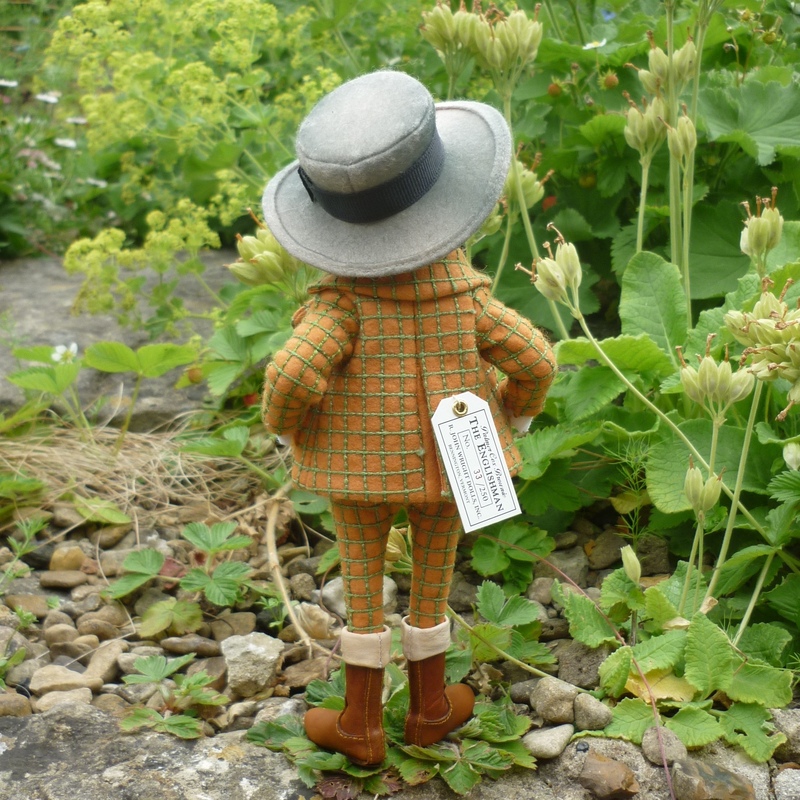 The Brownie Englishman is ready for a leisurely stroll around his country estate in his very proper attire consisting of a wide brimmed sportsman hat with a tailored tattersall suit. The pattern of the suit is acheived by carefully sewing a grid of embroidery thread on the all-wool felt. 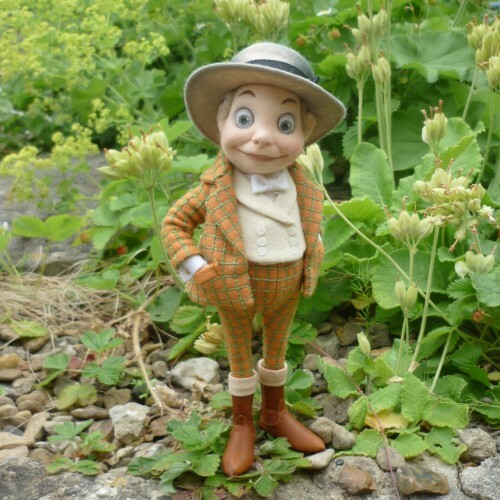 His double-breasted felt waistcoat features lapels and tiny custom-made buttons. The Englishman’s hand-cobbled boots are made of the finest topgrain calfskin. No detail has been spared to bring this delightful Palmer Cox character vividly to life!